What is a “Sheriff Sale”?Sheriff Sales are a sale of real estate ordered by the Court to satisfy a Judgment Entry against a Defendant. The proceeds of the Sale will be used to satisfy a debt to the Plaintiff. Usually this happens when a Defendant defaults on a Mortgage or Loan Payment. Until the Sheriff receives the “Order of Sale” from the Court, they are not involved in any of the foreclosure or court proceedings. After the Order of Sale is issued, the Sheriff merely acts as an arm of the court to appraise, advertise and sell the property. The Civil Deputy executing the sale cannot act as a real estate agent, loan officer, title or lien examiner or attorney. Questions regarding legal issues and Sheriff sales should be addressed to an attorney or legal professional. All Sheriff Sales are “Buyer Beware” and all property sold “As Is”. Regulations governing Sheriff Sales can be found in the Ohio Revised Code and local Court Rules. Where can I find out what properties are up for sale? Sales are advertised for 3 consecutive weeks (always on Tuesdays), in the Fremont News Messenger. A Sheriff Sale list may also be viewed in the glass case inside the double doors at the Sandusky County Jail. 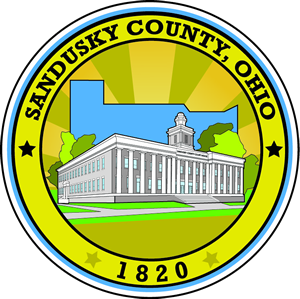 These properties are also listed on the Sandusky County Website. Click here to view the properties. Can I get inside the House to see it?? The property belongs to the defendant until it is sold and the sale confirmed by the Court. Permission from the owner must be obtained to gain access; this includes buyers, appraisers, inspectors or any other persons. The Sheriff Deputy has no contact or information on the Defendant or on the condition or layout of the house. The Sheriff’s Office has no keys to the house. How can I get more information about the property? Possible public record sources of information you may wish to explore are: Tax ID Records (Auditor’s Office), Property Taxes (Treasurer’s Office), Liens/Deeds (Recorder’s Office), Liens/other Mortgage Holders/Judgment Entry showing how much owed to the Plaintiff and other Case information (Clerk of Courts Office). The Sheriff’s Office does not maintain these records and has nothing more on file than the legal advertisement and Order of Sale. Lien searches and title searches are Buyers responsibility to research and be aware of. How do you come up with the “Appraised Value” listed for the Sale property? Three disinterested residents of Sandusky County are taken to the property to determine a fair market value of the home. Often a walk through of the home is not possible. The Ohio Revised Code requires only that three free holders of the County impartially appraise the property at its true value in money. Bids start at two-thirds of the appraised value and it cannot be sold for less than that, unless mandated by court order. What do I do if I want to bid on the property? Sales are always held on Fridays at 10:00 a.m. in the lobby at the Sandusky County Jail at 2323 Countryside Drive. No pre-registration is necessary, just show up at a 10:00 a.m. and bid. Have your financing in order before you buy!! All successful bids are legally binding offers to purchase that property. What happens at the Sale?? At 10:00 a.m. a list of property to be sold and notification of any properties withdrawn from sale is read. Then the Deputy will read the legal description of the property and open bidding at two-thirds of the appraised value. If you wish to place a bid, simply verbally voice your bid out loud. The Deputy will acknowledge the bid. If no further higher bids are received after acknowledging the bid three times, the property is declared sold to that highest bidder. The bank normally has a representative at the sale bidding to protect the bank’s interests (they usually have a set amount they will bid to, usually reflective of the amount owed to them by the defendant.) The Sheriff’s office does not know how much this is or who is bidding for the bank, nor can the Sheriff’s Office help arrange a deal between the bank and another party. What happens if I am the successful bidder?? 10% of the successful bid is due at the time of sale. This must be personal check, certified check or money order. “NO CASH ACCEPTED” Personal checks are accepted, but if it is returned for non-sufficient funds, you will be held in contempt of court. If a certified check or money order is for more than 10% of the selling price, the entire amount may be deposited and will be applied to the purchase price. Checks are to be made to the “Sandusky County Sheriff’s Office”. If you have PRIOR arrangements with a local bank and must leave to get the money and will be back within an hour or so, this will be permitted at the Administrator’s discretion. (If problems arise with allowing this, the practice may be discontinued without notice.) The Deputy will receipt the 10% deposit and record the name/address of the bidder and the name/address to be drawn on the deed. The buyer will receive a receipt of his deposit. What happens after the Sale?? A return is made to the Court by the Sheriff’s Office affirming the facts of the sale and the buyer information. The Plaintiff’s attorney prepares an “Order of Confirmation” and submits it to the Court to be signed by the Judge. Until the Order Confirming Sale is signed and filed with the Court, and the Notarized deed is signed by the Sheriff giving you title, you have no right to enter or move-in to the property. Confirmation of the Sale usually takes thirty to sixty days but can take less or more time. Liens of record are usually addressed and/or released in this order, but a title exam is usually a good idea to guarantee all liens are properly addressed and/or released from the property you are buying. Again, this is the Buyer’s responsibility; the Sheriff’s Office has no information on these issues. What is paid for by the proceeds of the Sale?? The Order Confirming Sale directs what the Sheriff is to pay out of the proceeds. Normally paid are Clerk of Court costs (including Sheriff Fees, Appraiser fees, advertising costs, etc…. ), delinquent taxes and the remaining balance is paid to Plaintiff. The Plaintiff’s attorney prepares this Order and the dollar amounts included may or may not be accurate as of the time of Confirmation. It is recommended the Buyer be aware of what is being paid and what is owed in delinquent taxes, delinquent water bills and other outstanding costs that they may be liable for if left unpaid. An attorney can advise on steps you may take to prevent this, these steps may include contact with Plaintiff’s attorney to verify what is being requested in the Order of Confirmation and/or filing a request with the Court for further items to be paid from the proceeds before the remaining balance is turned over to the Plaintiff. The Sheriff’s office simply pays out what is ordered by the Court and cannot give advice on what should or should not be paid. What happens when the sale is confirmed?? You will be notified when the Sale is confirmed and the Deed signed and notarized by the Sheriff. When these are ready, you will bring in the remaining balance due and at that time the Deed will be turned over to you. This is a simple exchange and not a “Closing” like done with financial institutions. After receiving the Deed, it is Buyer’s responsibility to properly file and record it. Any conveyance fees or other fees associated with the recording and filing of the Deed are the Buyer’s to pay. After you receive the Deed, you have legal right to the property. What if people are still residing on the property?? Again, an Attorney best answers these questions, as they are civil related remedies. A “Writ of Possession” may be filed with the court (check Common Pleas Clerk’s Office for fees required to do this). This Writ will order the Sheriff to take possession of the property and turn it over to the new buyer. Typically it is not necessary to go to this extreme and expense. Measures can be taken by the Buyer to notify the current residents that the property has been sold and they can usually work out an agreement that they will vacate by a certain date. A copy of the Judgment Entry and the Order Confirming Sale is often useful if provided to the current resident. Writ of Possessions are applicable to the Defendant only, and if there are tenants renting the property, this become a civil landlord-tenant issue that must be remedied in other ways. Again, the Sheriff’s Office cannot give you legal advice. It only executes Orders of the Court that direct them to do a specific action. THIS SHEET HAS BEEN PREPARED TO ANSWER ANY QUESTIONS YOU MAY HAVE REGARDING SHERIFF’S SALES. IF YOU HAVE FURTHER QUESTIONS PLEASE DO NOT HESITATE TO CALL.